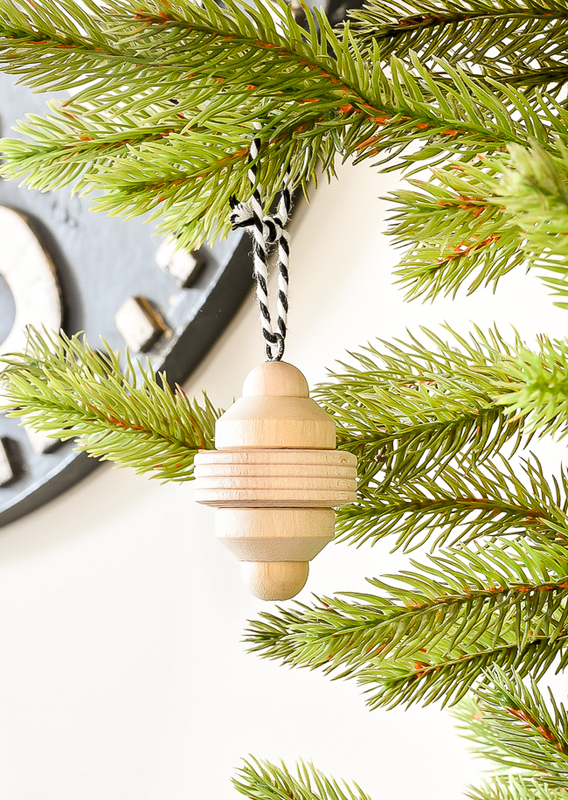 Get crafty and give your Christmas tree a little Scandinavian flair with these easy raw wood ornaments. Happy Monday! I hope you had a fabulous weekend. I don't know about where you live, but here in Maryland, it's been cold, cloudy and snowy. The perfect weather to stay in pj's, turn on a Hallmark Christmas movie and get crafty. 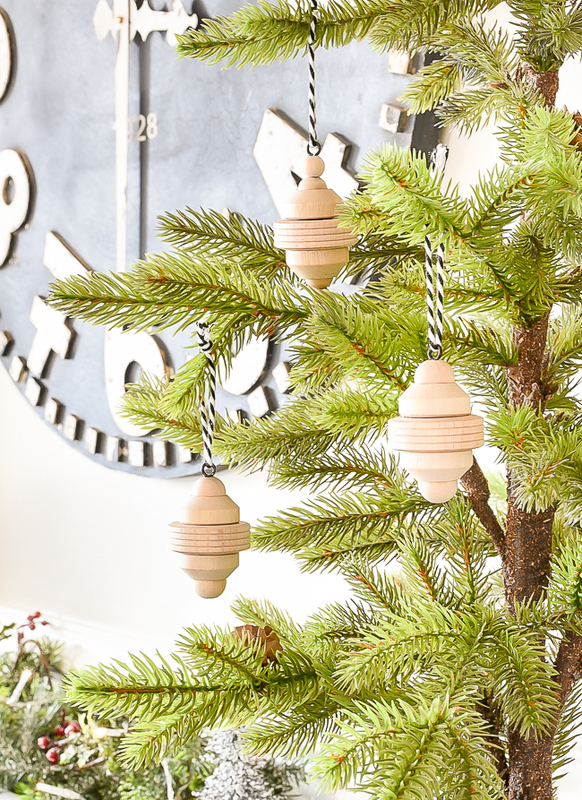 This year, I've been really into Scandinavian inspired Christmas decor and I wanted to make a cute Scandi Christmas craft. 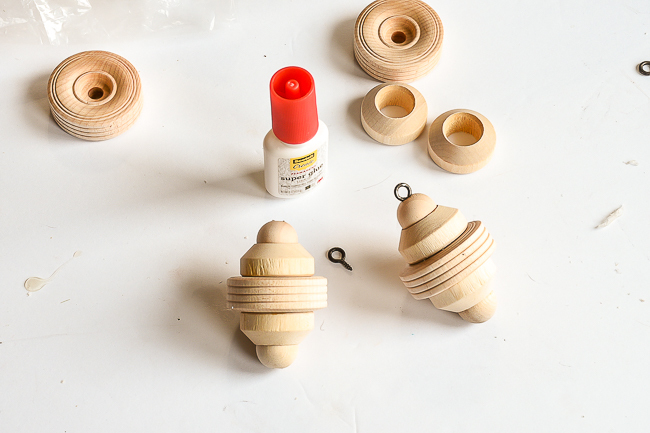 I raided my craft drawers and found a stash of wood beads that I knew right away would be perfect for raw wood ornaments. 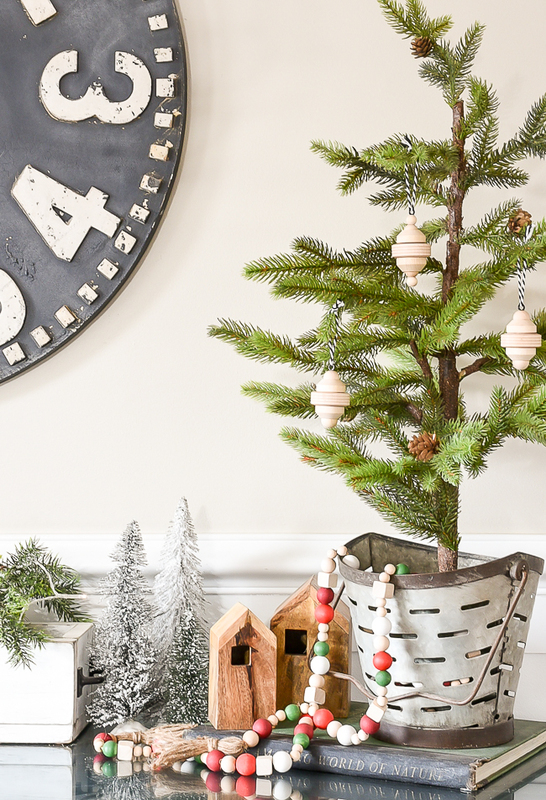 These cute little wood ornaments are simple, affordable and easily customizable to fit your style and color scheme. I prefer the simple raw wood look, but the options are endless. You could use a variety of different style beads to make these Scandi ornaments, but I tried to use what I had on hand. 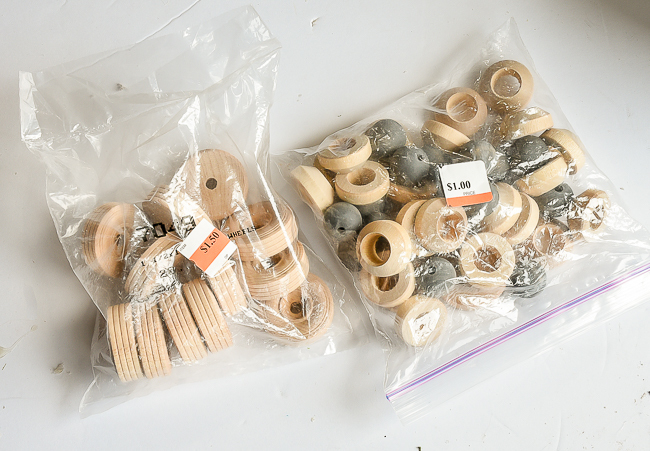 A few months ago I bought two bags of various wood pieces (the blue beads were mine from another project) from a local church thrift store knowing I would eventually use them for something. The bag on the left are wheels and I'm not quite sure what the other wood pieces are, but there were perfect for this project. 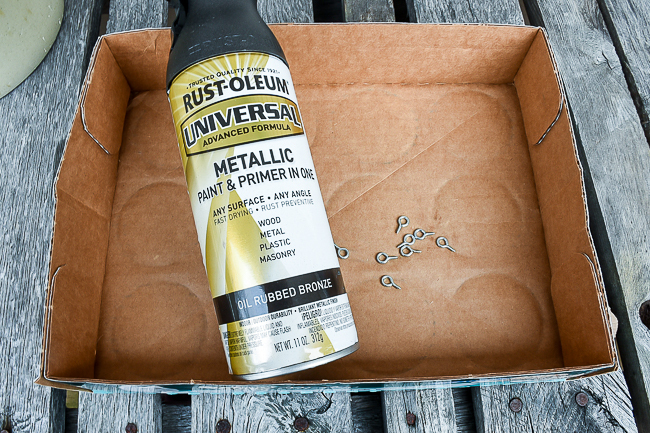 Before I got started putting the ornaments together, I sprayed some silver screw in eye pins with Rust-Oleum ORB spray paint. 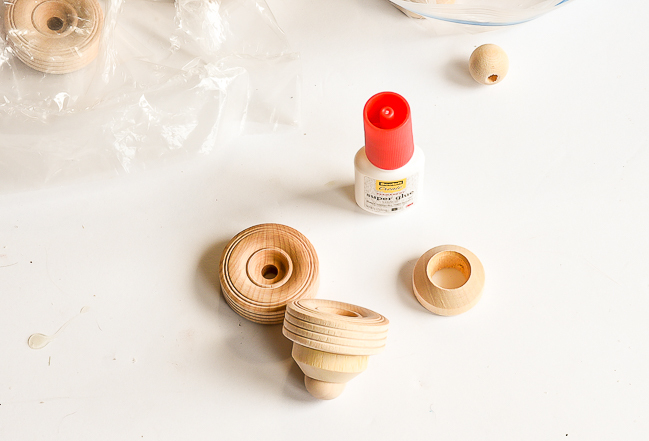 I left them to dry then got started on gluing the wood pieces together. I started with one round bead then worked my way up until I ended with another round bead. 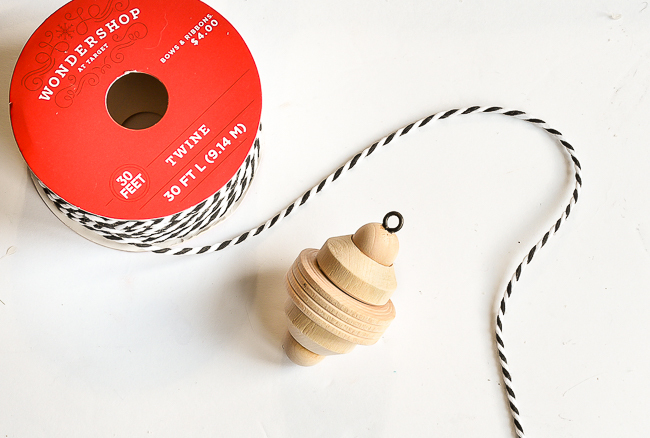 I glued one eye pin to the top of each ornament then finished each one off with black and white baker's twine. 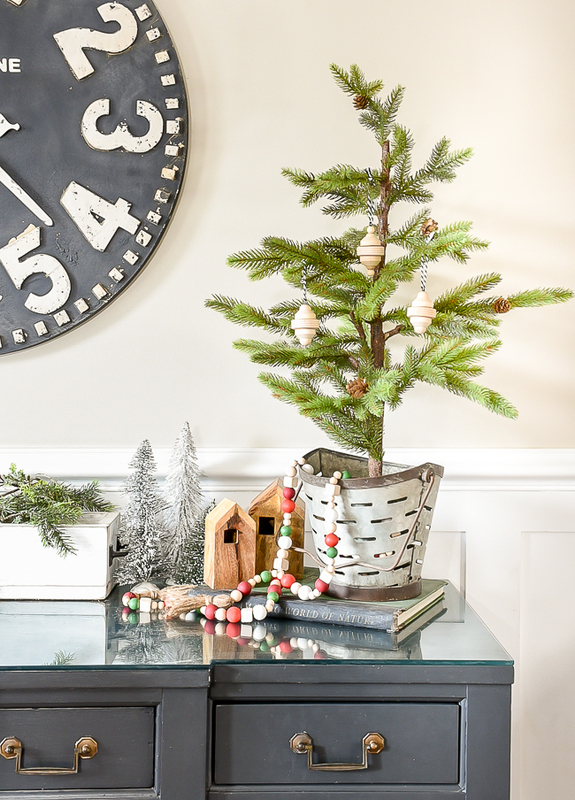 I love how they turned out and think they add the perfect Scandinavian touch to the little pine in our dining room.